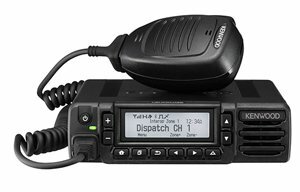 The Kenwood NX-3000 Series mobile is a multi-protocol digital & analog radio available in either VHF (136-174 Mhz) or UHF (400-470 Mhz or 450-520 Mhz). It is an adaptable mobile radio that supports both NXDN and DMR digital protocols as well as mixed digital and FM analog operation. Designed with flexability in mind, it's packed with convenient features like Bluetooth for hands-free operation and built-in GPS.